Watermarks are useful for legal documents or other sensitive documents that you may want to mark as confidential. 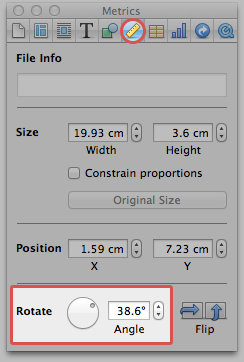 Typically a watermark is large faint text in the background, with a low opacity so that the content above is still readable. 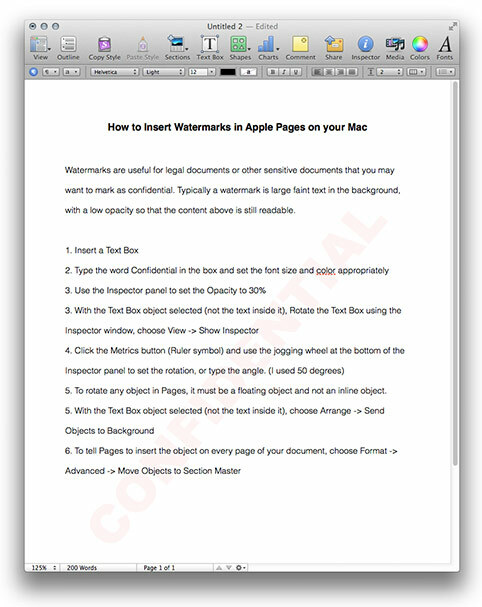 This step by step guide will tell you how to insert watermarks in Apple Pages. 5. 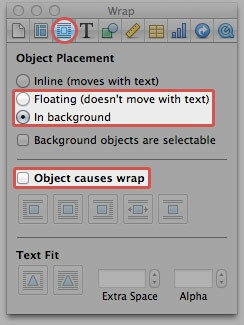 To rotate any object in Pages, it must be a floating object and not an inline object. Turn wrapping off.